We recently took a family vacation down to the beach, and had an absolute blast! The weather was perfect – just like the pool at Shores of Panama. We laughed so hard, we all felt like we had done stomach crunches for a week. If you are coming down soon, please don’t miss the free concerts at Pineapple Willies, just next door. We especially loved Jacob Brock and Brews Band. They are the best cover band I’ve ever seen. 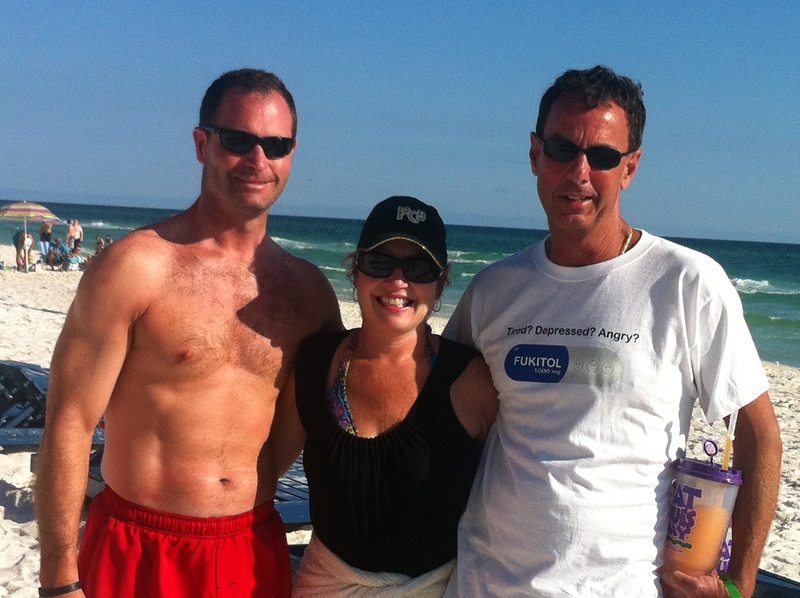 Gotta Run – come stay with us @ Shores in PCB! We would love to have you vacation at one of our condos. You’ll have a great time! Hey from Florida! Gotta Run – Hope no one is offended by my hubbies, T-Shirt. This entry was posted in Panama City Beach Vacation, Vacations and tagged family vacation, florida rentals by owner, rent a condo at shores of panama, shores of panama, vacation rentals. Bookmark the permalink.